This evening is ideal for families with members of all ages. An array of activities are provided for you to choose to participate in or enjoy them from the sidelines. We offer horsedrawn hayrides through our meadow, supervised horseback riding particularly suitable for young children, and dinner served from the campfire. 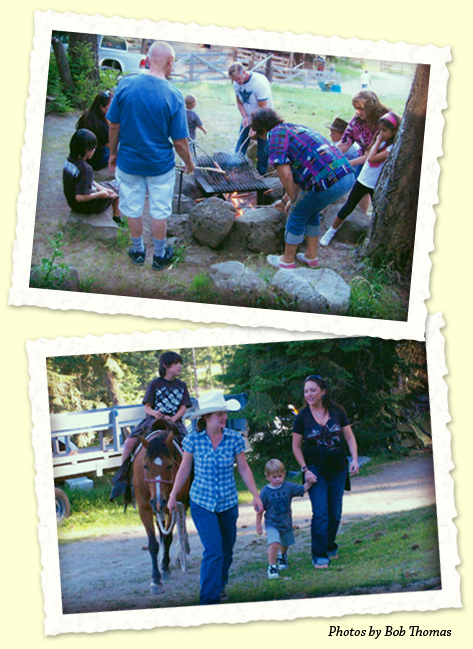 Designed to provide families an opportunity to enjoy a ranch experience as well as quality time together.